Apple is once again in the news with another legal claim. 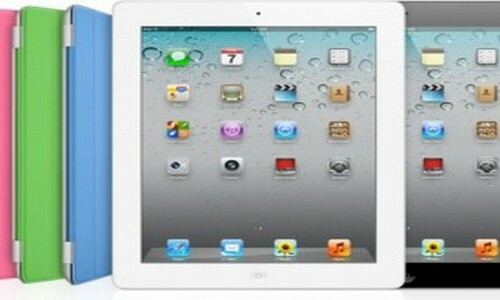 But this time, it is a Taiwanese company that filed a legal claim against Apple over using the term ‘iPad’ in China. Apple might have to face $38 million fine in result of this lawsuit. It was back in 2010 when Apple’s first tablet device, iPad, was launched. The Cupertino-based tech giant bought the trademark ‘iPad’ from a Taiwanese display manufacturer, Proview Electronics, but Apple was not given the rights to use this term in China. Proview Technology (Shenzhen) is a unit of Proview International in Hong Kong that claims to own the rights for the term ‘iPad’ in China, according to Apple Insider. In December, Proview sued Apple for $1.6 billion. The court announced its verdict in favor of Proview, but Apple is appealing the decision. A thorough probe into Apple’s possible trademark infringement has been launched by Chinese government, The Global Times reports. Xie Xianghui, the Proview Shenzhen’s attorney told the publication that the court in Xicheng district of Beijing had decided to “slap Apple with a 240 million yuan ($38 million) fine,” but decided against it after objection raised by Apple. According to Apple, Proview Shenzhen sold the iPad trademark rights to a UK-based company, named ‘IP Applications’, which then sold the trademark rights to Apple back in 2010. Xie Xianghui told China Daily that we will demand an apology from Apple as well on top of fine. On the other hand, a representative for Xicheng district administration said that the court had never announced any such fine. We have tried to contact Apple for a comment but not yet succeeded. This doesn’t happen for the first time as Apple has already fought over the iPhone name with Cisco before both the companies reached to a conclusion in 2007. It seems that it has become a tradition for Apple to run into trademark issues every so often with major companies. Perhaps, the legal team for Apple requires a little bit of push to keep things tight.